German DJ, musician and record producer Christian Löffler tries to combine melancholy with euphoria. Löffler started to play music by the age of 14. Living in a secluded region, lacking a musical surrounding, he had to teach himself the essentials of making electronic music. Before long he developed his own deep and moving sound, colored with a melancholic undertone- Music for the soul & for the body. 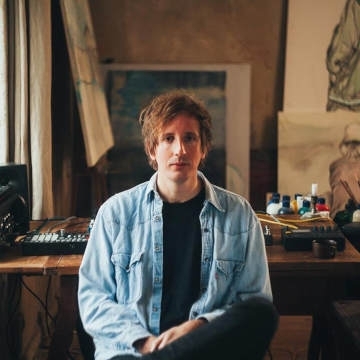 Due to the fact that Löffler is also working as a visual artist, he’s following the same approach when making music that he’s following when painting or taking photos. The extraordinary capacities of this young producer have kept eyes and ears closely following the fresh talent as Löffler’s deep moving melancholic sound, is absolutely irresistible.